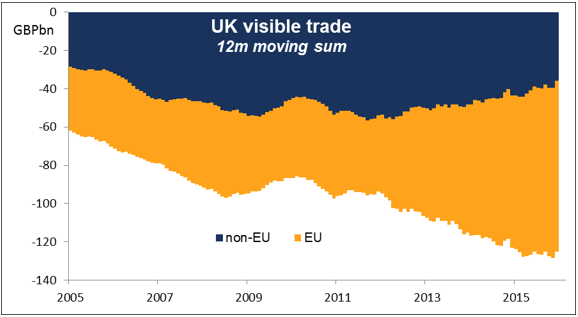 09:30 GMT: UK trade balance (Jan): The market looks for a continued widening in the country’s trade deficit. Normally this deficit is easily covered by inflows into the capital account, but ahead of the Brexit referendum on 23 June this may be difficult. 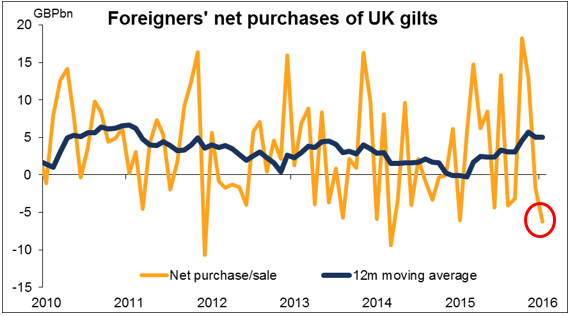 For example, foreigners sold a net GBP 6.2bn of gilts in January, one of the largest net sale figures ever (February data not yet available). Also the country is the world’s 4th largest recipient of foreign inward investment, but that investment is likely to slow down ahead of the vote and could change dramatically if the country votes to leave the EU.Potentially GBP-negative. 13:30 GMT: Canada employment data (Feb): Wednesday’s statement by the Bank of Canada noted that “national employment has held up despite job losses in resource-intensive regions…” Today’s data is expected to confirm this encouraging picture, with the number of employed people expected to rise and the unemployment rate remaining unchanged even as the participation rate rises. That should add to the BoC’s conviction that they did the right thing in holding rates steady and could add to the CAD’s recent gains.